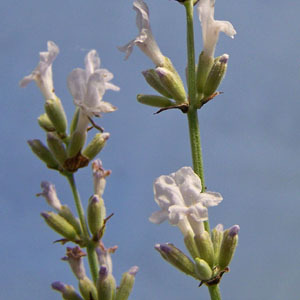 A large English lavender, with long, thin spikes of whitish flowers. Nice as a cut flower. Fast growing. Categories: all potted plants, bee nectar plants, butterfly nectar plants, deer resistant, fragrant plants, hummingbird plants, lavender plants, new this year, Potted Plants, More..